When the Foo Fighters premiered their documentary “Back & Forth” on April 5, 2011 they also streamed a live performance of their new album “Wasting Light” in it’s entirety on foofighters.com. The date April 5, also happens to be the day that Grohl’s former Nirvana bandmate Kurt Cobain committed suicide. Always the classy guy, Grohl remembered his friends death in a small way and stuck a “K” on his guitar with white tape. Dave only used the “K” on the guitar for this performance but his mortal enemy and Kurt’s ex-wife Courtney Love has a permanent “K” tattoo on her stomach. In 1994, weeks after Kurt’s death Pearl Jam played on Saturday Night Live where Eddie Vedder saluted Kurt with a “K” on his shirt as well. 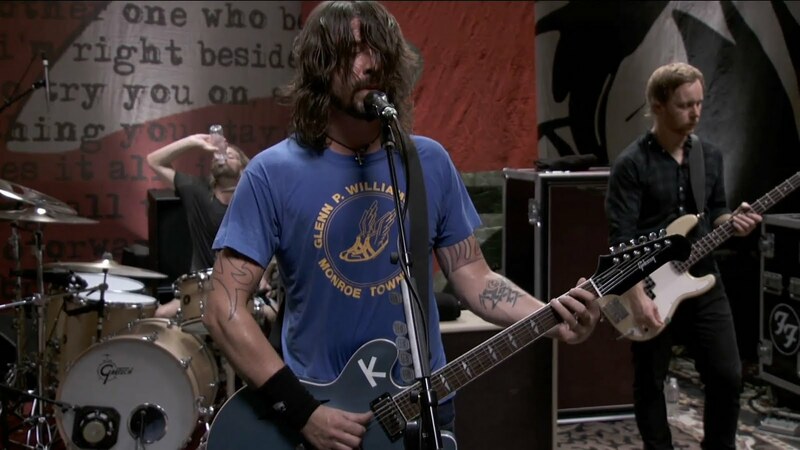 Click below to watch the entire Foo Fighters “Wasting Light” live from Studio 606.